No Fenders -Formula 1, IndyCar and A Whole lot more..: Do Car Numbers really matter? Thus, I came across this long lost linkage casting adrift in the No Fenders Wormhole Vortex when looking for ‘Somme-thun riveting to post upon Ye ‘BLOB thingy in order to be able to try catching up upon the hours ‘N hours of television waiting in thy queue after returning from Oregon - whilst your humble scribe tries poondin’ away upon the keyboard without my stubby ‘lil nucel’s getting’ in duh ways - as my brain seems to be in ADHD mode upon trying to decide what story to tackle first? AnyHoo, two current thought bubbles occurred from finding this long lost gem. One, obviously Indy Cars most recent winner, thee Mayor ‘O Hinchtown, aka James Hinchcliffe or simply ‘Hinch, who’s having truly a breakout season, now having won his third race this year, car number is in homage to the late, great ‘Kuhnaidiun driver Gilles Villeneuve, eh? As I’m not sure, but seem to think that son Jacques also ran I-T in CART? The second tiny thought bubble, did somebody say tiny Bubbles? Oh Never Mind! As although he’s definitely NOT my first choice for IndyCar champion, nevertheless you’ve gotta be impressed by the job current Champ’ Ryan Hunter-Reay’s doing, right? As I’m guessing that he could become the first defending champion running the exalted No. 1 on his racecar to win consecutive titles since Rick Mears did so back in the early 1980’s? OOPS! May be Gil de Ferran actually won consecutive Vanderbilt Cups for The Captain (Roger Penske) wearing the No. 1 plate between 2000-01? And for reasons unknown, whilst trying to find a decent image of Hinch’s No. 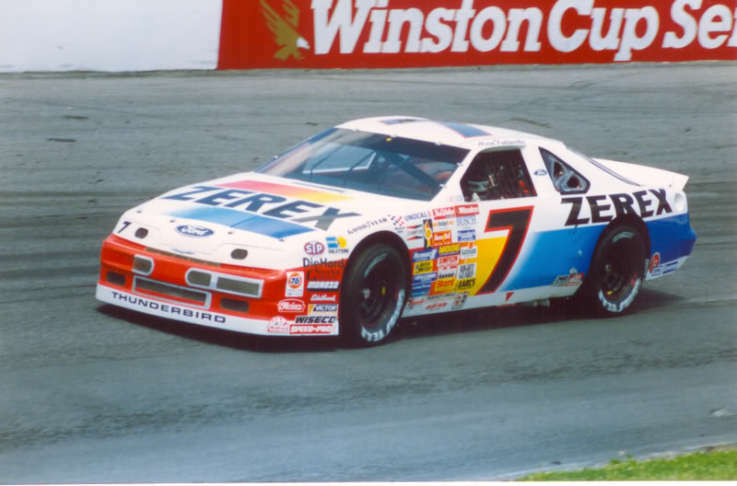 27 the number seven of the late, great Alan Kulwicki popped into mind - as I suppose IndyCar could have the best of both worlds by having drivers keep their respective chosen numbers with the ability to run the Numero Uno plate before reverting back to said number? And BTW Randall, thy Moniker King; NO! I was an H-U-G-E FAN of the No. 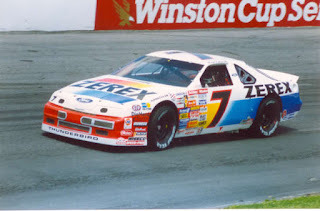 7 ‘Wayback in the Kulwicki Days long before Queen Danicker came along! As who couldn’t be a fan of somebody who did Polish victory laps, eh? Although I suppose Danica’s better looking, right? Hya!